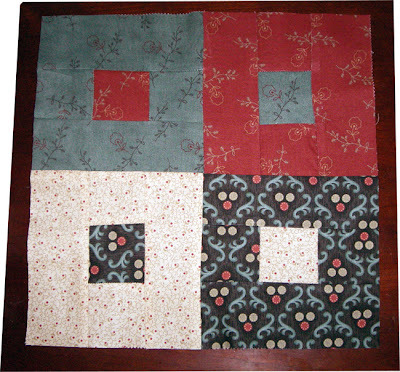 I finished block 3 of the Moose on the Porch Quilts Jelly Roll Sampler Quilt Along. The blocks are all so different and I really like how this one turned out as far as colors. As usual though, I have twists and shortages here and there but I think I may be still close to 12" squared. Can't wait to see how they all come together. I love the quilt along tutes. I am awaiting my jellies and may just jump in when the arrive. I am going to look for my bear pattern that was made for me. It's a fabulous pattern and I haven't seen one like it. It's in one of the sewing bins I know. Your block looks great! I need to get to work on mine. ;-) Have a great day!